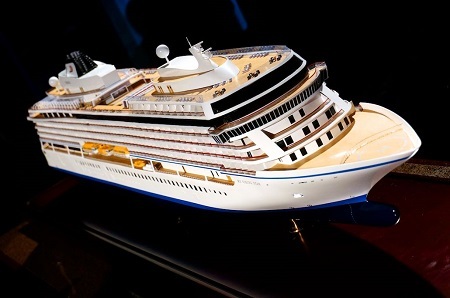 Viking Cruises announced details of its first ocean-going ship, the Viking Star, which is due to enter service in May 2015. She will be the first of a pair of 925-passenger ocean-going cruise ships for Viking Cruises, the new cruise operation that has sprung from Viking River Cruises. - the spa has been vanquished from deck 9 on top to deck 1 below.